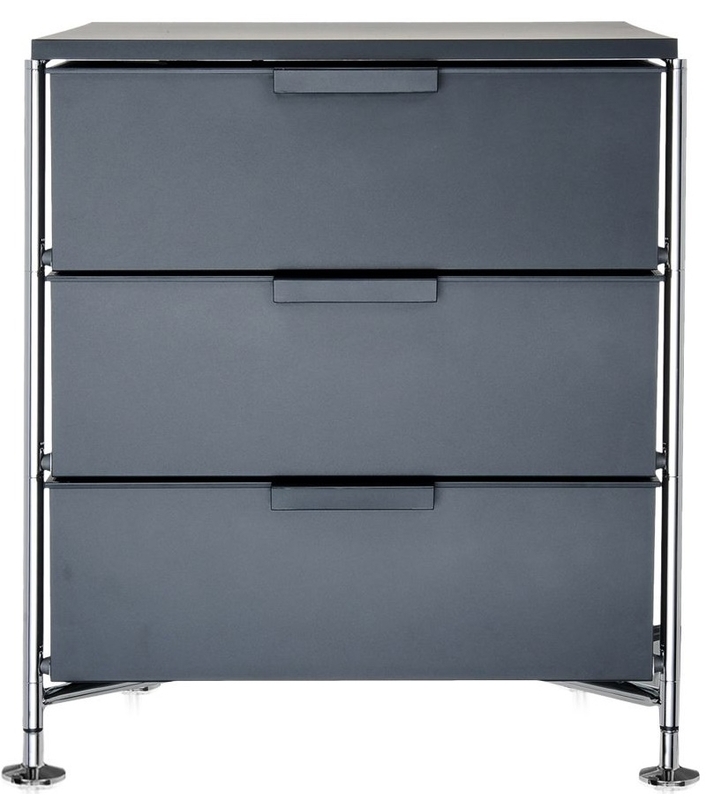 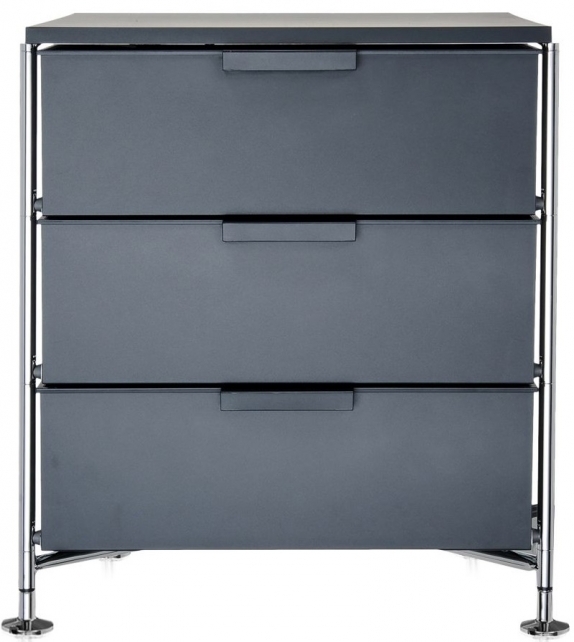 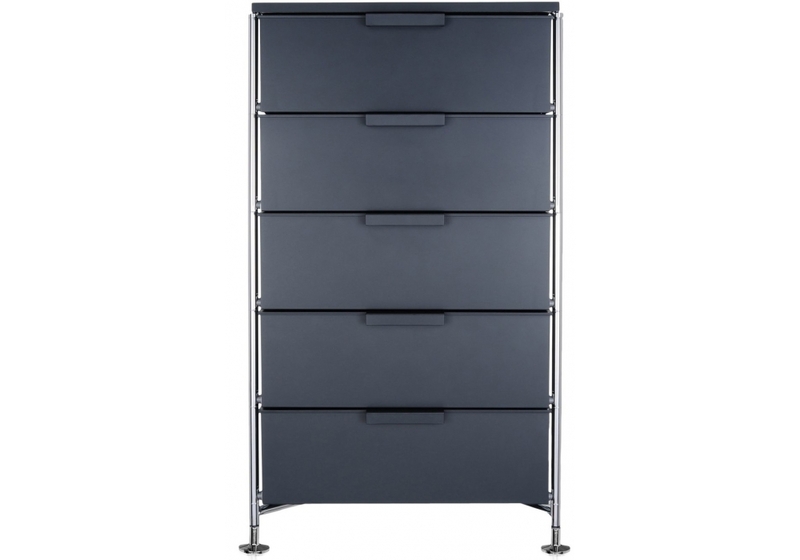 Mobil is a chest of drawers designed by Antonio Citterio with Oliver Löw for Kartell. 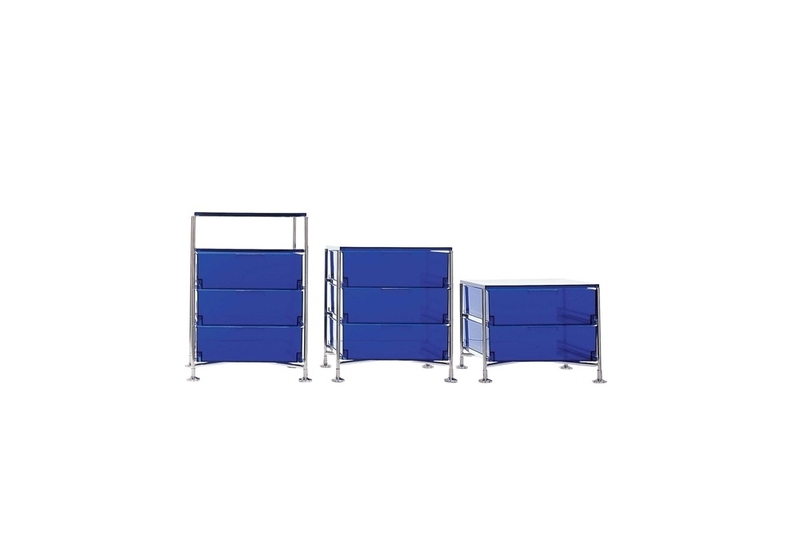 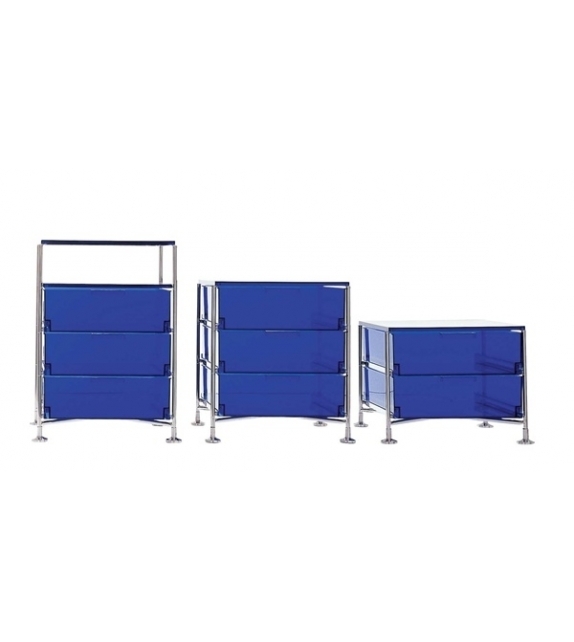 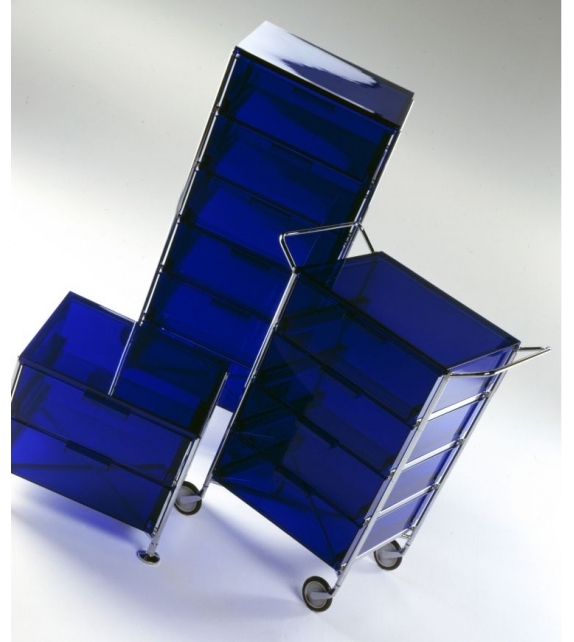 Mobil is a system of containers that simultaneously boasts agility, mobility, practicality, resistance and durability. 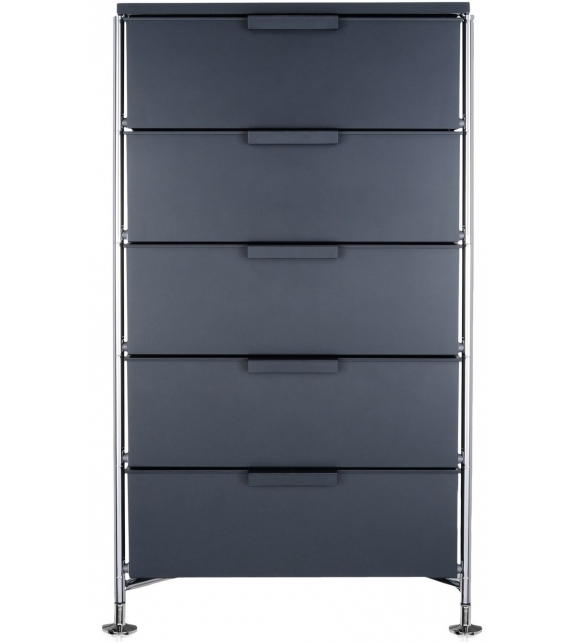 Mobil is a chest of drawers designed by Antonio Citterio with Oliver Löw for Kartell. 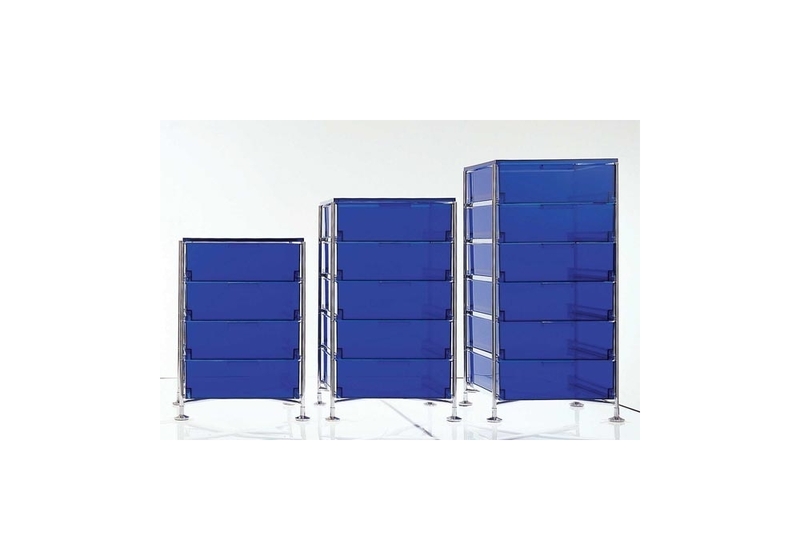 Mobil is a system of containers that boasts off, but at the same time gives the advantage of lightness, mobility, functionality, resistance and durability. 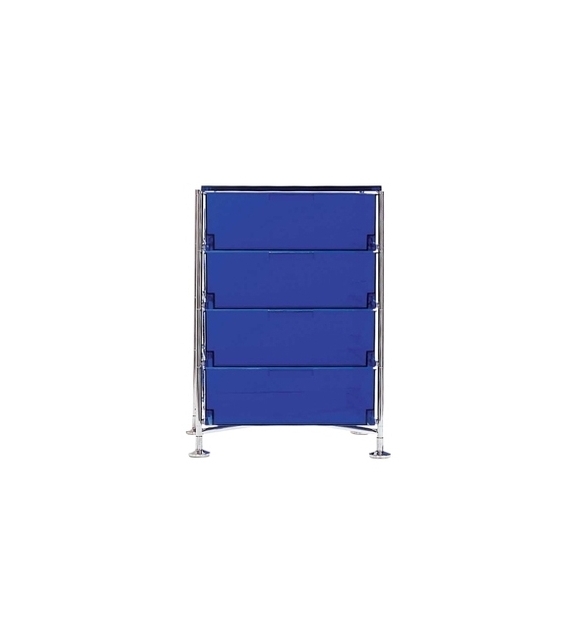 The design and the glamour of the colours proposed makes it suitable to be placed in any room in the household and office, responding to different uses. 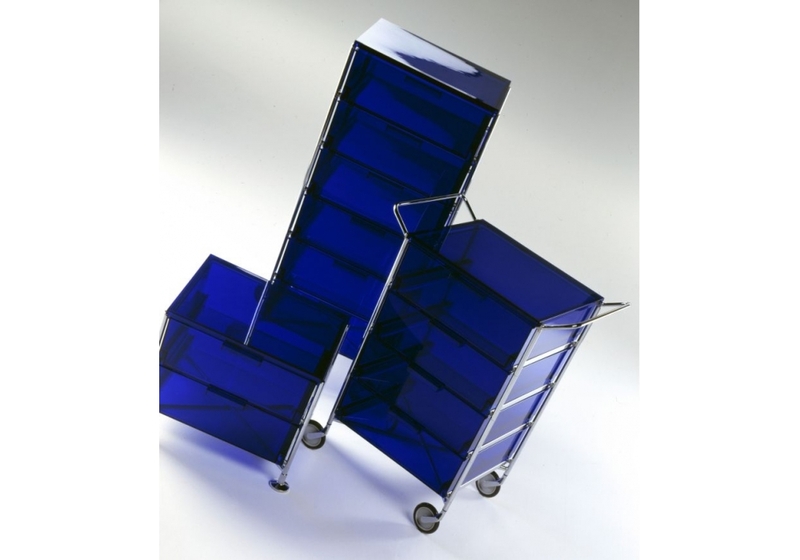 Shelves and drawers are available in three finishes: with a successful semitransparent effect, matt and glossy version in transparent PMMA. 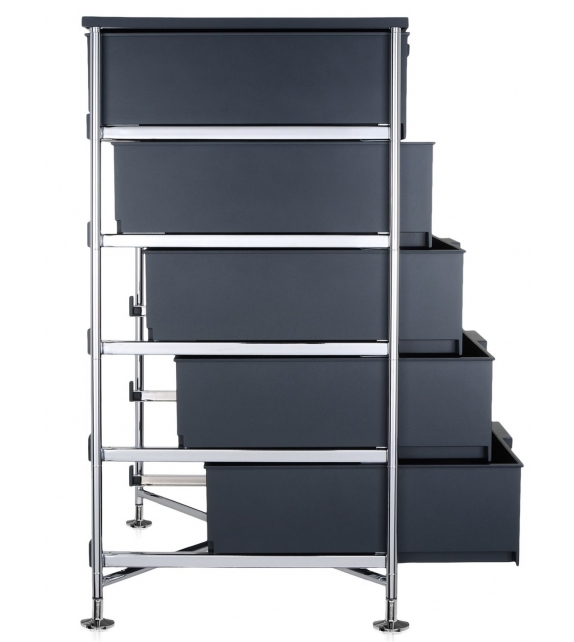 The draw can be alternated with upper floors and the top, is the core element of the system. 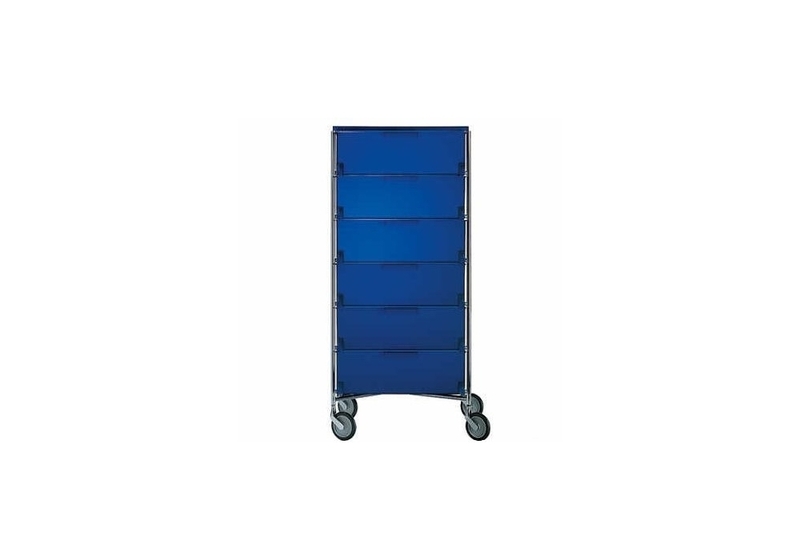 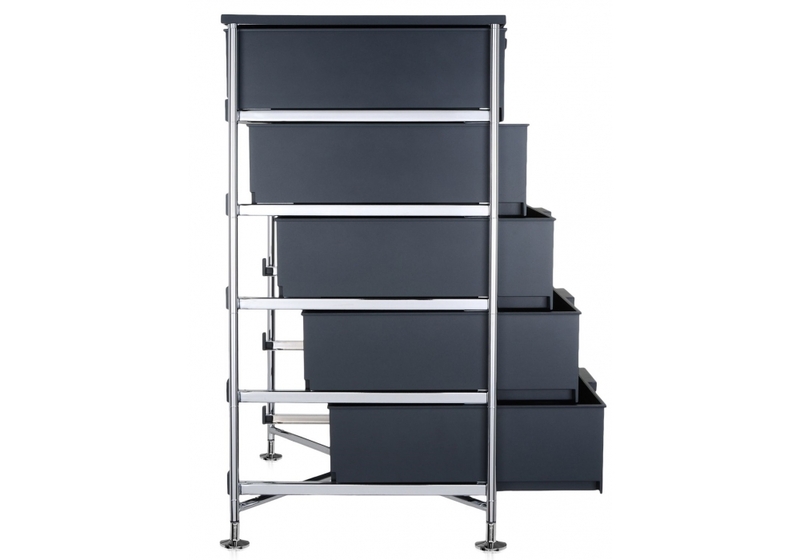 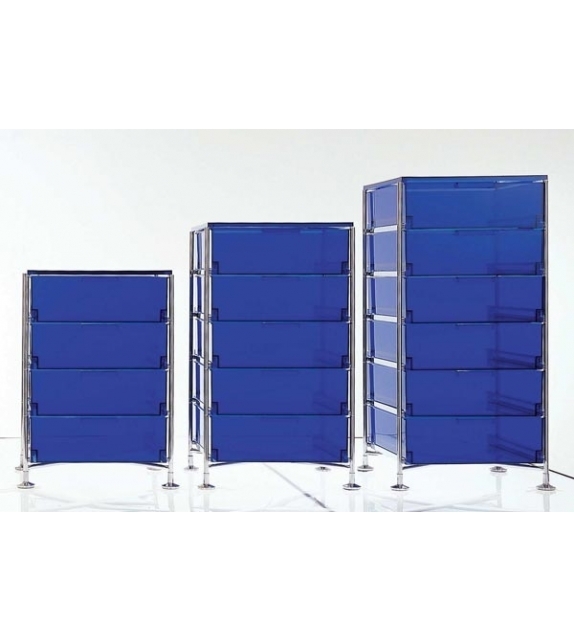 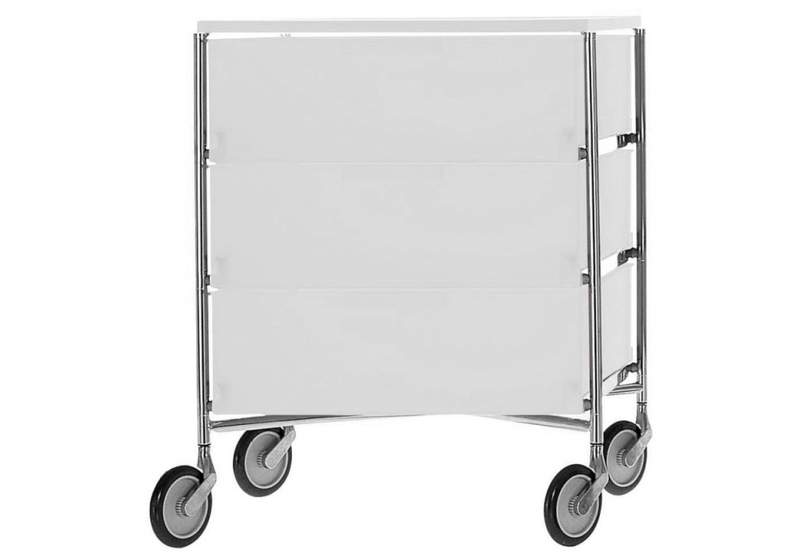 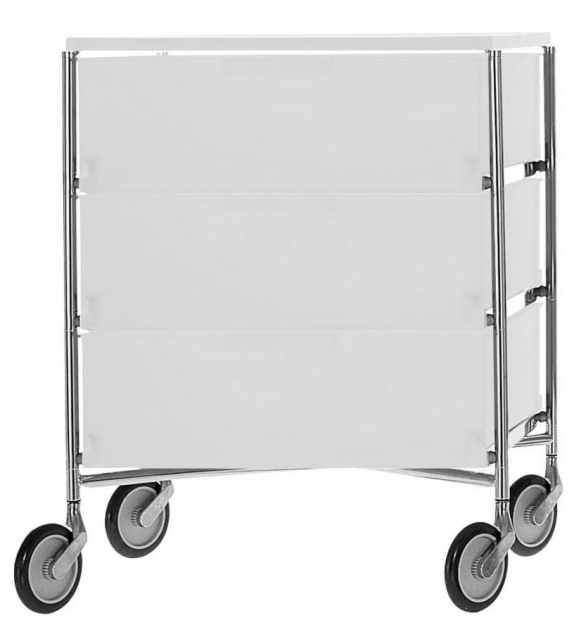 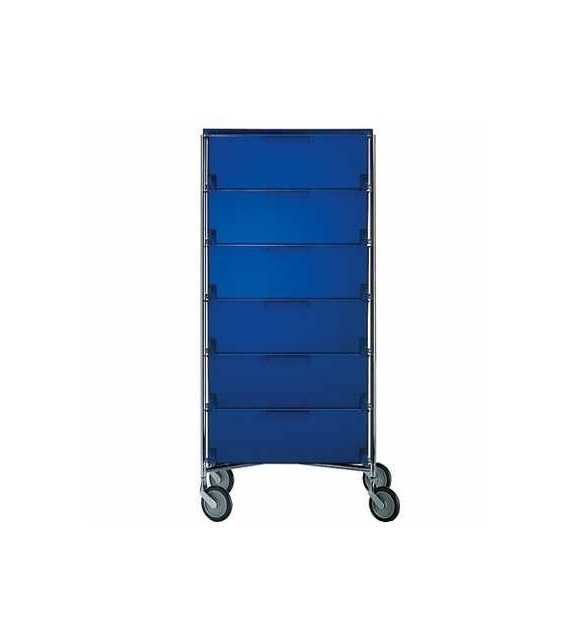 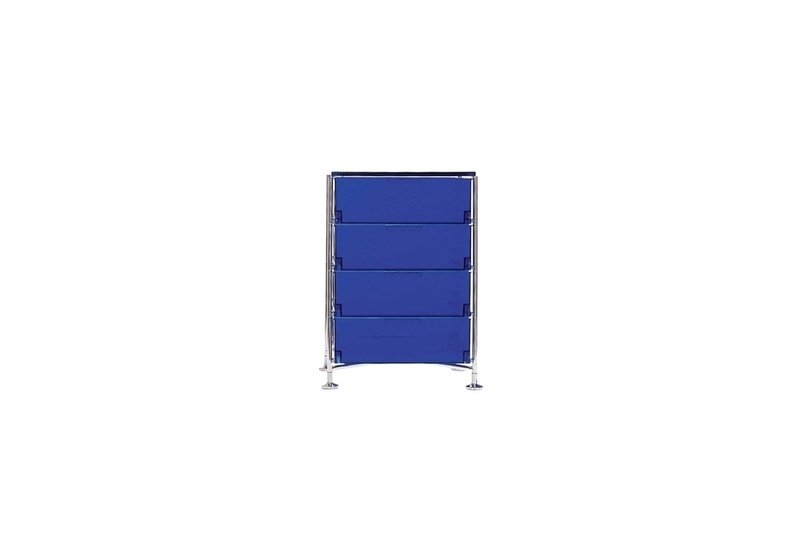 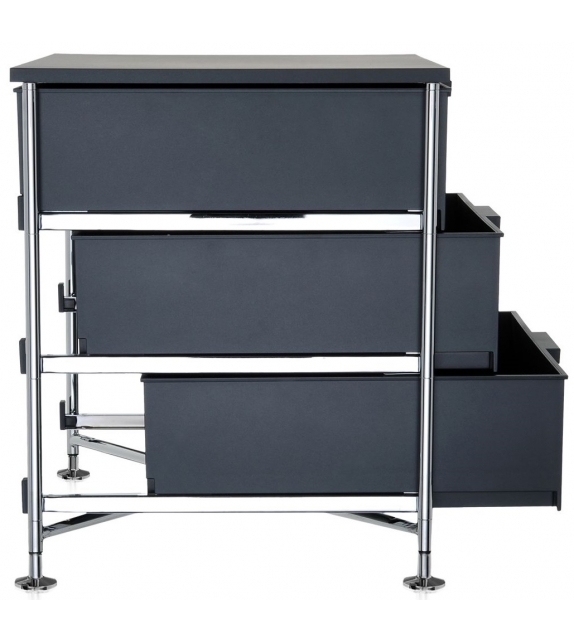 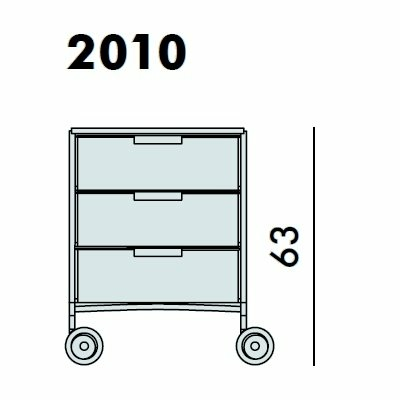 Mobil can be a simple chest of 2 to 6 drawers and have convenient handles. 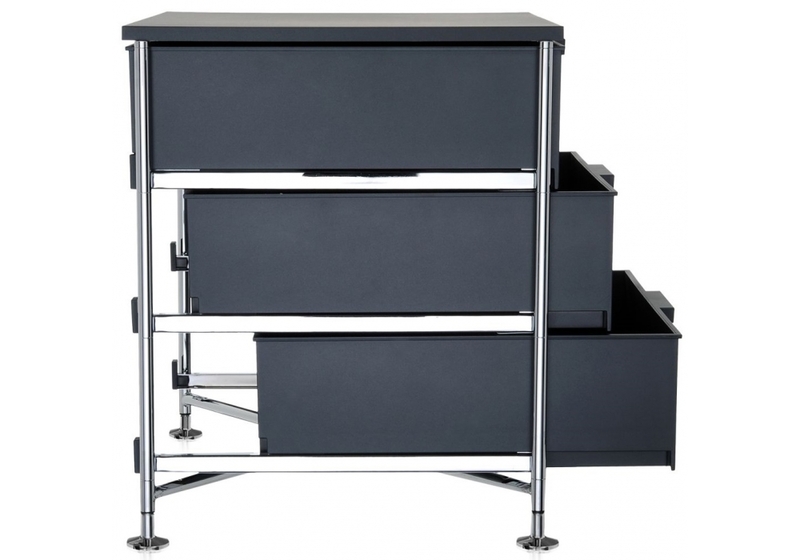 The structure can rest on wheels or fixed legs, suggesting the use of Mobil in different contexts: from the bedroom to the living room to the bathroom, as a basis for Hi-Fi, study or office as desk drawers, storing stationery and documents. 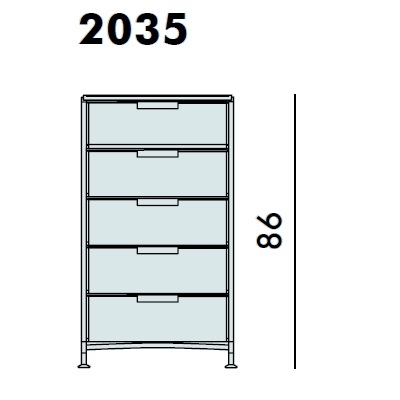 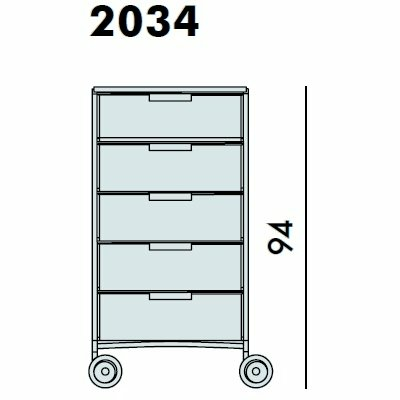 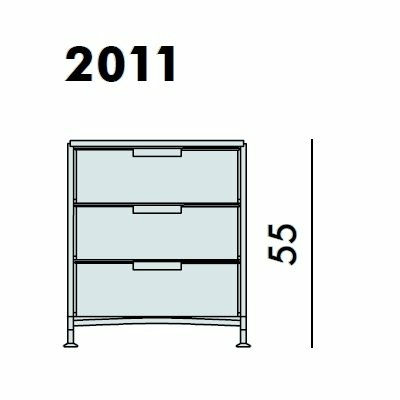 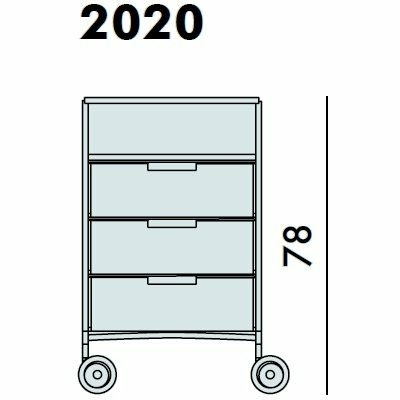 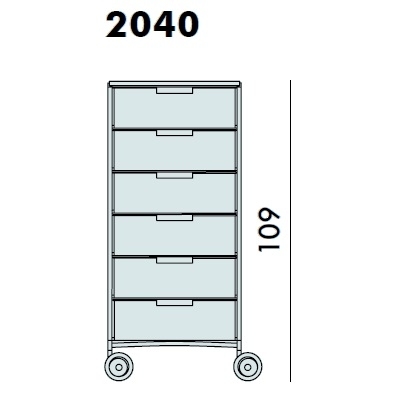 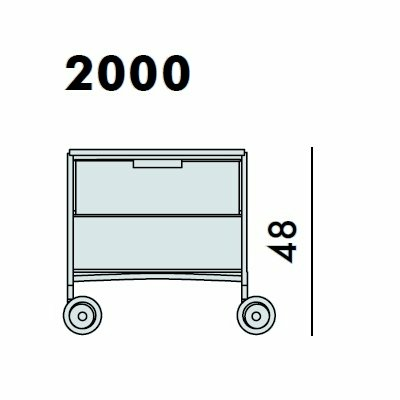 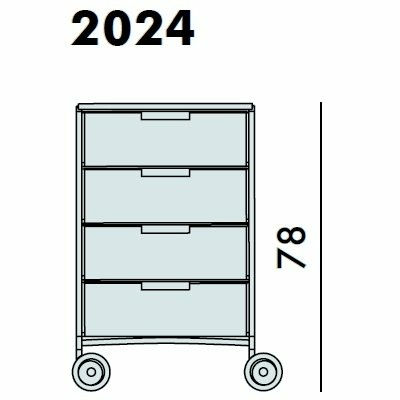 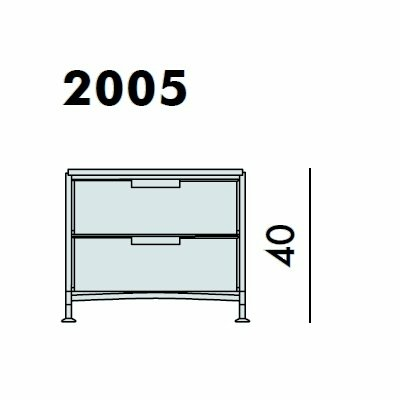 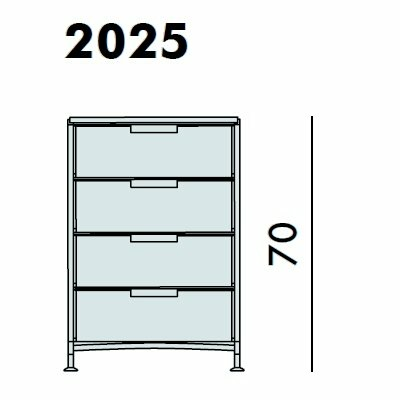 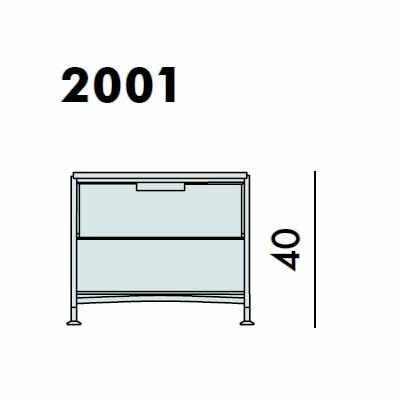 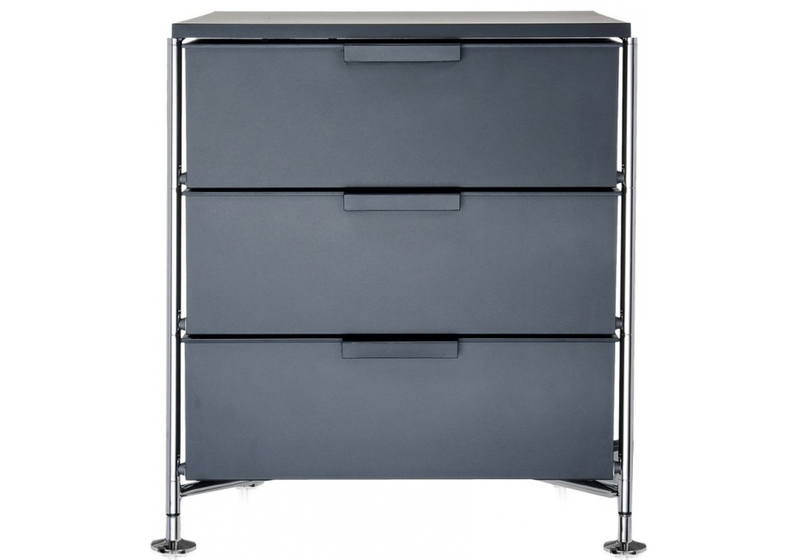 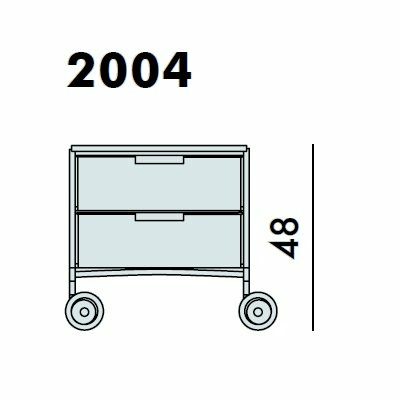 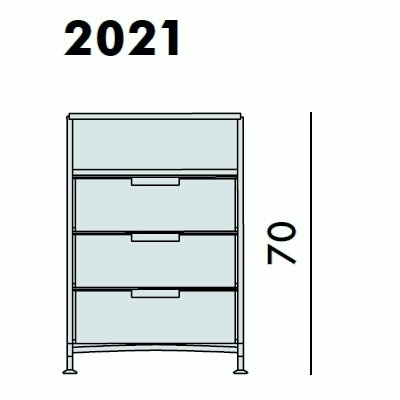 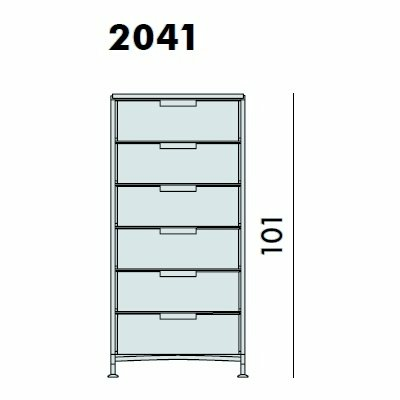 Width: 49 cm Height: 48 cm 1 and 2 drawers with wheels, 40 cm 1 and 2 drawers with legs; 63 cm 3 drawers with wheels; 55 cm 3 drawers with legs; 78 cm 3 +1 and 4 drawers with wheels, 70 cm 3 +1 and 4 drawers with legs; 94 cm 5 drawers with wheels, 86 cm 5 drawers with legs, 109 cm 6 drawers with wheels, 101 cm 6 drawers with legs; Depth: 47.5 cm Weight: 10.000 kg 1 and 2 drawers; 15.500 kg 3 drawers and 3 +1; 20.00 kg 4 and 5 drawers, 6 drawers 25.00 kg.